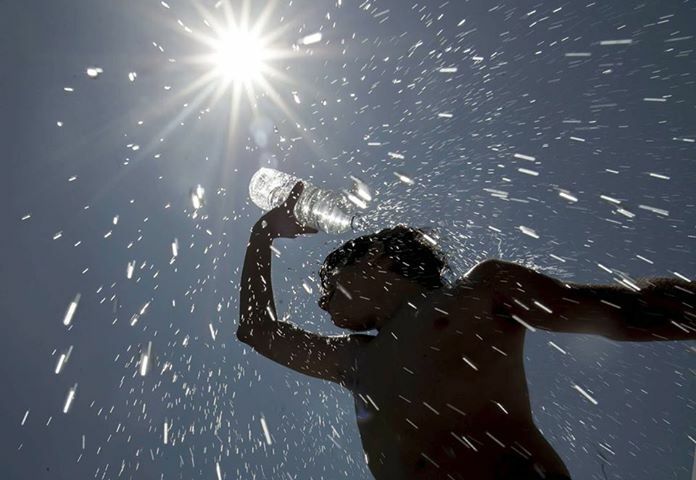 Given the high temperatures in summer in Malaga, it does not hurt to repeat a few simple tips to prevent fatal outcomes, which not only affect the elderly and children, although they are especially vulnerable. • Avoid being outside in the heat of the day and physical activities such as sports, gardening or DIY. When walking around the streets it is advisable walking in the shadow or wearing a sun hat and preferably light coloured and wide cotton clothes. • In the middle of the day preferably stay inside and in the cooler rooms. Regarding the interior of the housing the windows should be kept tightly closed while the temperature outside is higher than inside. Otherwise you could remain a few hours in air-conditioned premises in the vicinity of your homes. • Hydration is essential: Always carry a bottle of water. You have to drink as much as possible, even without thirst. The best drink is water, at room temperature, not too cold. • Repeat throughout the day cool showers or baths. An alternative option is to dampen clothes. • Regarding alcohol many people are unaware that alcohol dehydrates the body, because it facilitates water loss through urine and increases the perspiration level. • Regarding food, it is recommended consumption of fruits and vegetables and moderate amounts. Avoid hot, heavy and large meals (Have you already tried Gazpacho?). • Remember that our pets also can suffer heat strokes.